The Platte River Recovery Implementation Program (PRRIP) uses land, water, and adaptive management to help piping plovers, least terns, whooping cranes and pallid sturgeon. ESSA’s independent, expert advice has significantly improved the Program over the last 12 years. 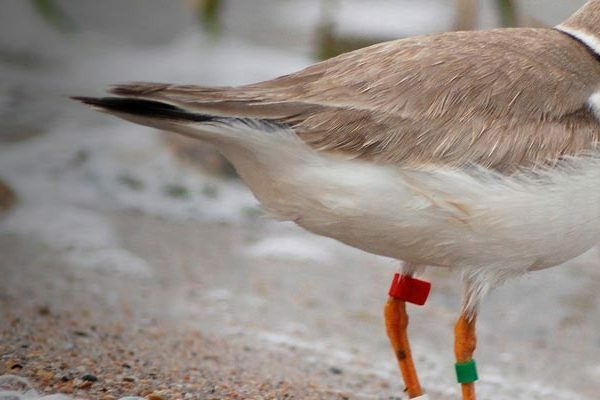 The Platte River Recovery Implementation Program (PRRIP) is tackling a big problem: how to best use land, water, and adaptive management in Central Nebraska to help four species that use the Platte River: piping plovers, least terns, whooping cranes, and pallid sturgeon. There are many challenges, including how to create bird habitat in a region with limited available water, how to measure available habitat, how to take advantage of natural as well as managed variability in flow, how to design experiments to determine the biological effectiveness of different approaches to habitat creation, and how to synthesize multiple lines of evidence to address key management questions. From 2005 to 2006, ESSA participated in a team of experts that conducted an independent review of the Program’s draft Adaptive Management Plan (AMP). We explained AM to the Program’s decision makers and technical scientists, and our recommendations led to many improvements in the structure of both the PRRIP and the draft AMP. In 2007, the Program began implementation of the final PRRIP AMP for a 13-year period. Two years later, the Program formed an Independent Science Advisory Committee (ISAC), which has been chaired by David Marmorek of ESSA from 2009 to 2017. Other ESSA staff members (including Ms. Darcy Pickard and our associate Dr. Carl Schwarz) have provided focused expertise to the PRRIP as special advisors on experimental design, population modeling and decision support systems. ISAC reviews (led by David Marmorek) have resulted in improved conceptual models, a smaller set of prioritized hypotheses, better experimental designs, clearer management objectives, and more effective approaches to monitoring, data analysis, modeling, science synthesis, reporting, peer review and structured decision making. The ISAC’s work has substantially improved the PRRIP, and significantly contributed to the success of the Program. Examples of ISAC reports (for 2009 and 2011) can be found on the PRRIP website. A major achievement of the ISAC was their encouragement of the PRRIP to develop the State of the Platte Report, and the ISAC’s guidance in improving the content of that report over multiple years. No additional resources available at this time.